Watching Christian Petzold's Transit is, by design, a bit of a bewildering experience. The film throws us in the middle of France during the Nazi occupation, focusing on a German expatriate caught in the middle and trying desperately to get out of the country. But something is off, while the language of the film is absolutely steeped in the verbiage of World War II, the setting is quite modern. Where are we? When are we? Petzold deliberately plays it coy, and the results are as obfuscating as they are mesmerizing. The title, Transit, works on several levels, as both literal descriptor and ironic subversion. The film's protagonist, Georg (Franz Rogowski), seeks transit papers in order to flee the fascist advance. And yet he, like so many others in his position, find themselves stuck in transit, unable to go anywhere. Like some sort of Kafka-esque Casablanca, Georg is trapped in Marseilles behind enemy lines, forced to stagnate in an ever-increasing sense of ennui. There is no real transit in “Transit.” No one goes anywhere. Along the way, however, Georg assumes the identity of a well-known author who dies while fleeing the Nazis, in hopes that it will expedite his approval for transit papers. Instead, he finds himself playing a role, and eventually meeting and falling in love with the man's wife, hopelessly waiting for him to return home so they can flee together. 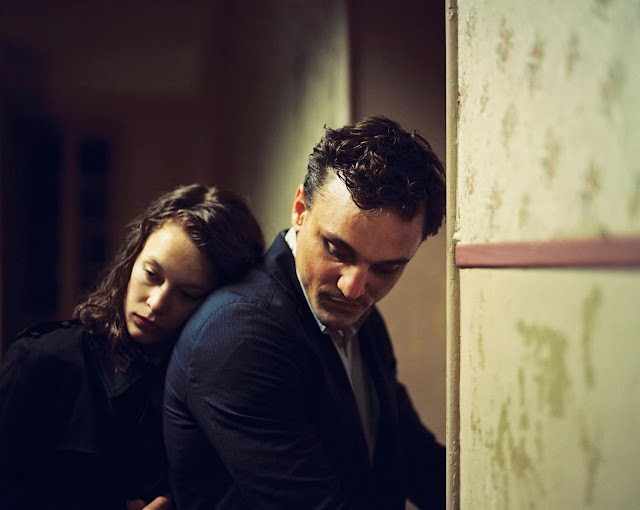 It is against this backdrop of uncertainty and hesitation that Petzold sets Transit, a film as much about the existential terror of fascism as it is about the slowly encroaching nature of its dehumanizing philosophy. Petzold is no stranger to films about loneliness and fascism, having tackled similar ideas in Jerichow (2009), Barbara (2012), and Phoenix (2015). Yet Transit is perhaps is most enigmatic and even opaque work. The audience often feels as lost as his characters, trapped in an existential nightmare from which there is seemingly no escape Each person they meet is in a similar position - looking for a plane to America, a boat to Mexico (another sly modern irony, refugees seeking, and failing to procure, entry into Mexico), anything to get away, as the reality of the fascist occupation becomes more and more normalized. Petzold's characters are often trapped in a kind of purgatory of their own making - here it is thrust upon them by outside forces they cannot control, a fact of life they must eventually learn to accept. By taking its source, Anna Seghers' 1944 novel of the same name, and updating the setting without updating the language or thematic ideas, Transit creates a timeless portrait of fascism's encroaching insidiousness, the way it worms itself into society and becomes quickly normalized and accepted, beating its subjects into a kind of world-weary limbo, where all sense of time and place, right and wrong become chillingly relative. Perhaps what is most unsettling about the way in which Petzold transplants the language of fascist occupation from 1940 to modern day is just how natural it seems. You may find yourself wondering "wait, what year is it?" as you struggle to find your bearings early on, but once one settles into the film's unique rhythms, it soon becomes clear that we're all lost in time. History repeats itself. Fascism once again rears its ugly head. Whether watching a film or watching the nightly news, Transit's haunting lack of specific time and its eerie recalling of earlier atrocities seems all too real. "What year is it?" indeed. 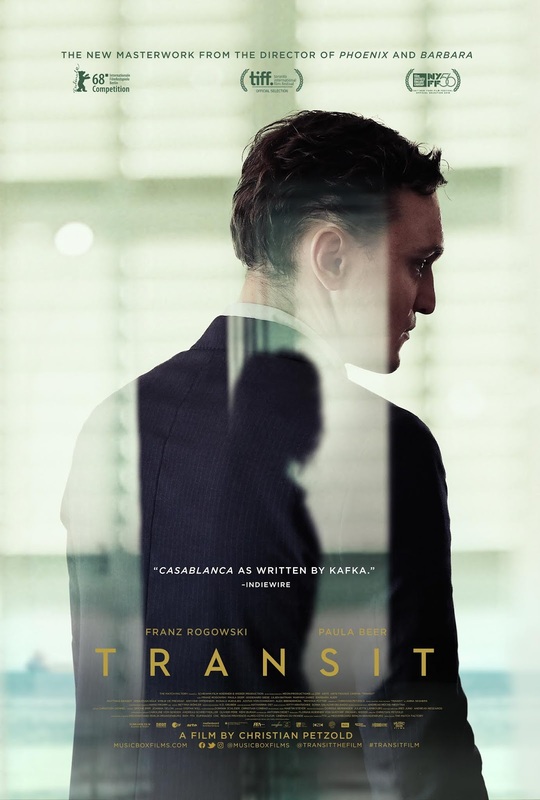 TRANSIT | Directed by Christian Petzold | Stars Franz Rogowski, Paula Beer, Godehard Giese | Not Rated | In German and French with English subtitles | Now playing in select theaters.